When life becomes difficult for a friend or acquaintance, it’s often difficult to know how to help. Not knowing what to do often turns into doing nothing. 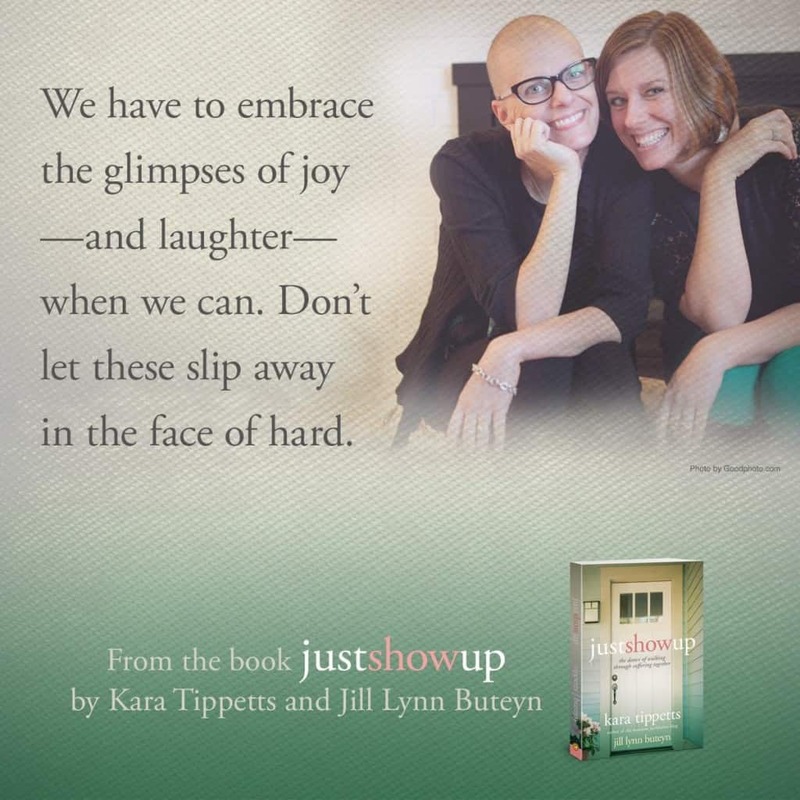 Just Show Up: The Dance of Walking Through Suffering Together by Kara Tippetts and Jill Lynn Buteyn teaches the importance of just showing up when another is walking a tough road. The book gives encouragement and practical ideas that will help you step up in difficult times. 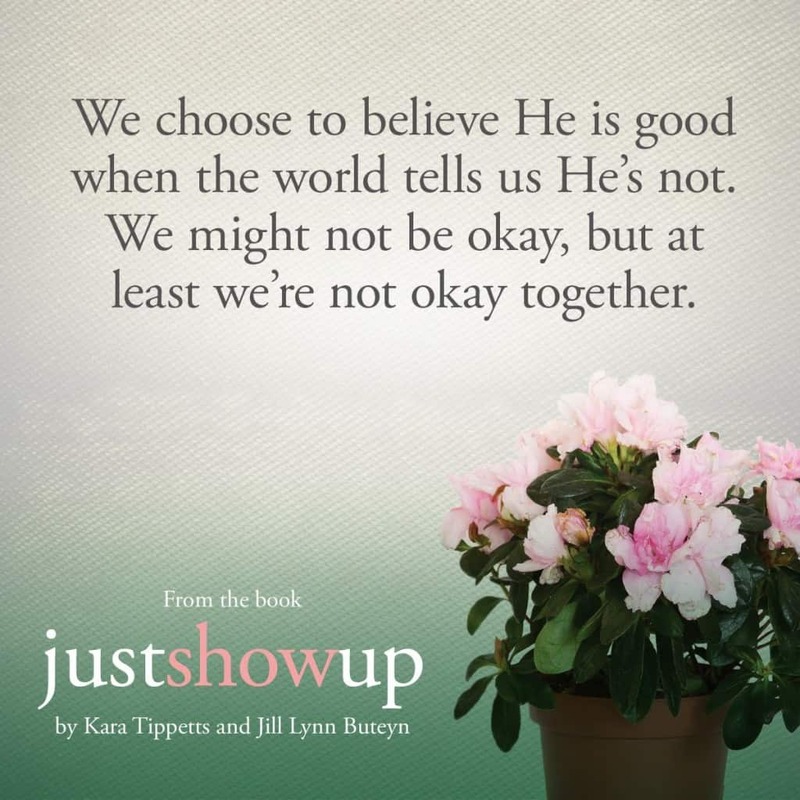 Just Show Up should be on the reading list of every young Christian woman. The concept of showing up for others in difficult times is just not taught these days. We are often so removed from each other in our current culture, that our only interaction with a hurting person is offering an “I’ll pray for you, ” or virtual ((hug)) over social media. While there are good intentions, the result is hurting people falling through the cracks and suffering alone. After our last two years, I know how big an impact is made when someone just shows up. I was so blessed in my most difficult time. People showing up everywhere I turned in my most difficult days kept me putting one foot in front of the other. When everyone around a hurting person shows up in some small way according to their own gifts, it makes a huge difference. Just one person makes a difference, but many people have the opportunity to change everything. What I really love about this book is the reminder that there are many ways to show up. In the age of meal trains, we think the only way we can show up is to bring a meal. That is a great way to show up, but for some it’s not the best way to show up. It’s okay if you don’t cook, maybe you can do something else just as needed! Whether you know someone hurting, or not, this is a must read book. Not only will it remind you of the importance of showing up, but it also gives practical ideas on the how of showing up. 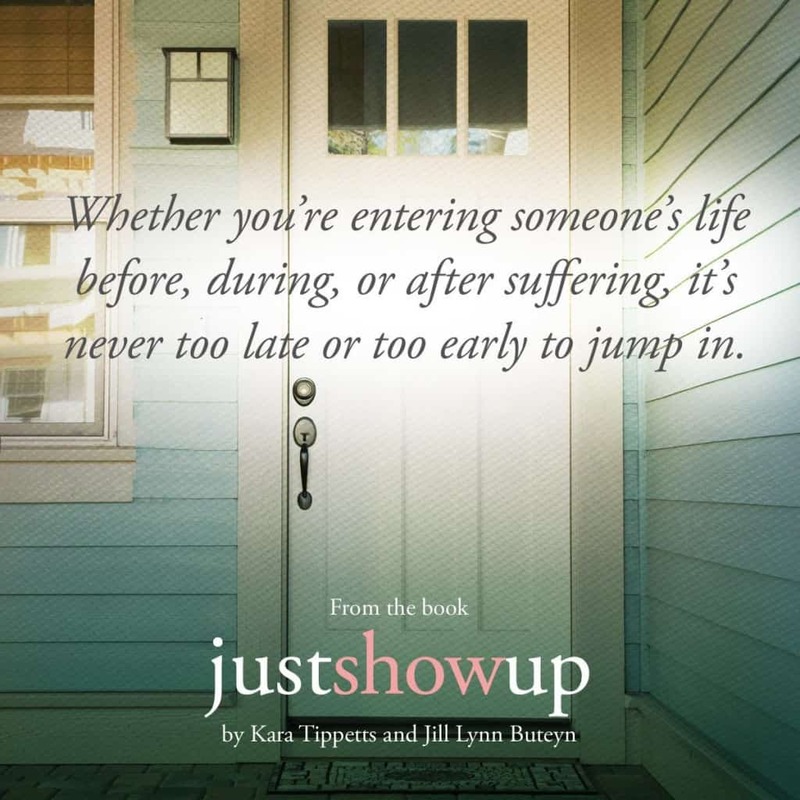 Thanks to Family Christian for providing a copy of Just Show Up for this review. These days it is very hard to stay connected with others through difficult times. This book sounds wonderful and I will add it to my reading list! I think this is something my wife would enjoy reading. She has the personality to help out no matter the situation. This book sounds like something everyone should read! I'll add it to my reading list for sure. In this digital age, it seems much easier to send some good thoughts through social media than to show up, but we sure should change that tendency. So very true! The book really does help! What a great attitude. I think people are afraid to show up unannounced and feel they can't find time to visit on a schedule. I love finding new books to add to my list. This one looks great. Thank you for sharing!